Heart failure is manifested by typical symptoms and leg edema is one of them. People who have the feeling of “pouring the feet and ankles” cannot lead a full life. But after passing the appropriate treatment, a feeling of returning youth appears. 1 What is heart failure? Edema (or oedema) is an abnormal accumulation of fluid in various parts of the body. Fluid may accumulate under the skin, as it occurs in the swelling of the legs (peripheral edema), or in the lungs. Often, the location of the edema can give a first hint to the doctor about the main cause of the resulting pathological condition. 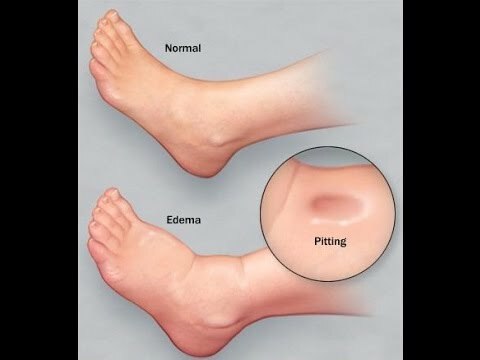 In common people, edema is better known as “dropsy”, although the main origin of medical terin is from the Greek word οἴδημα oídēma, which means “edema”. The fluid that accumulates in the tissues of edema is called interstitial. The amount of interstitial fluid is determined by the balance of its homeostasis. Increased fluid secretion in the interstitium (i.e., in the intercellular space) is also important. Heart failure means that the heart cannot pump blood as needed. 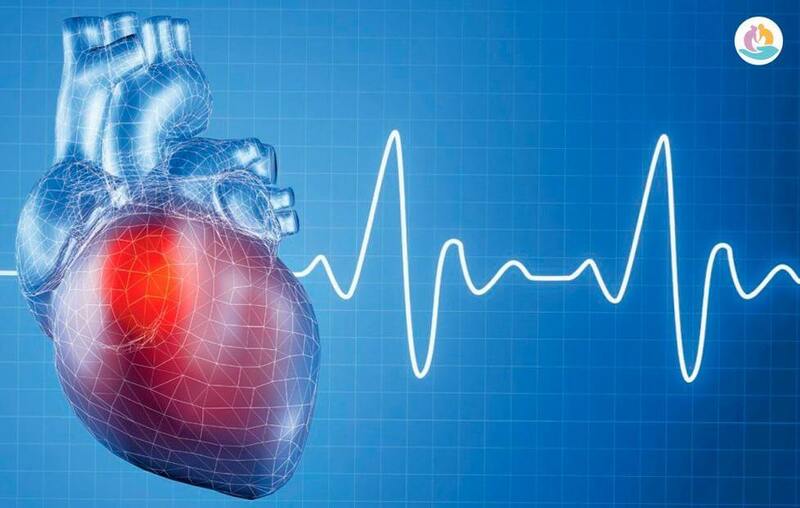 As the power of the heart muscle decreases, the organs no longer receive oxygen and nutrients in the right amount, which causes their work to be disturbed. This further aggravates the condition of the patient, which may cause other complications. For example, the kidneys no longer effectively remove water and salt from the body. Against the background of this disorder, fluid accumulates on the periphery of the vascular bed, most often in the leg region. ankles, hands, abdomen and lungs. The body, in essence, becomes overloaded with water. The term used to describe the cause of this condition sounds like congestive heart failure. Thus, with congestive heart failure (CHF), excessive fluid retention is determined, which causes most people to go to the hospital. Heart failure affects about 6 million people in the United States. Each year, nearly 700,000 people are newly diagnosed with the disease. Heart failure is the first cause of hospitalization among people over 65 years of age. Given the aging population, it is expected that the incidence of heart failure will increase dramatically. Recently, researchers on behalf of the American Heart Association have predicted that total medical expenses associated with heart failure will increase from $ 21 billion in 2012 to $ 53 billion in 2030. Swelling of the legs in CHF is a clinical symptom, while excessive fluid retention throughout the body often puts the health of a patient with heart failure at risk. In the hospital, patients are prescribed strong diuretics for a week or two, and salt and fluid intake is usually limited. As a result, the work of the lungs, in which fluid could have accumulated before, is improving, there is a decrease in body weight, mainly due to the excretion of water. Swelling in the legs, ankles and in the abdomen decreases. When the amount of liquid decreases as much as possible, the person no longer feels as if he is suffocating, so the discharge is carried out home. However, in most cases, after returning home from the hospital within a few months, the condition worsens again. The patient returns to his unhealthy habits, poor diet and, perhaps, diuretics are no longer taken. Initially, patients with heart failure may not be able to detect clinical signs. Sometimes symptoms appear, but then go away on their own. The severity of symptoms can range from minor to extremely pronounced. Swelling in the abdomen, lower limbs, most often swelling of the ankles and / or feet. Persistent cough, sometimes with sputum. Unexpected weight gain (due to fluid retention). The liquid collected in the area of ​​the feet by the end of the day, independently by the morning diverges. At this stage of the disease, drug treatment is quite effective and with a change in lifestyle, positive results are achieved. Peripheral edema does not pass by itself. With the progression of the disease, drug treatment may not be effective. Symptoms of peripheral edema (swelling of the legs) include swelling of the affected area (s), which causes the surrounding skin to “stretch”. The severity of peripheral edema depends on the severity of HF. It will also increase or decrease as the body position changes. For example, if a person lies on his back, the swelling will not appear on the legs, but will be determined in the region of the sacrum. The skin over the swollen part seems tight and shiny, and often when a finger is pressed against the affected area of ​​the body, a dent appears. This is called pitting edema. In some cases, pitting edema, or the formation of pits on the skin due to accumulation of fluid in the tissues, is confused with pastoznost. But in the latter case, there are visual changes in the skin, there may also be luster and increased density of the tissues, but with pressure the dent does not form, that is, the tissue quickly regains its shape. Therefore, pasty is considered to be the previous stage of pitting edema. Presence of pain Missing Missing Missing There may be tenderness at the site of edema. 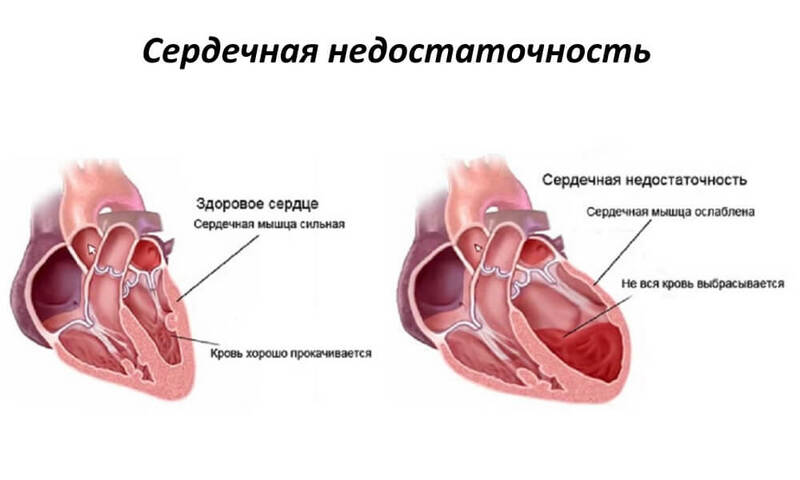 Medical care for marked edema of the legs of cardiogenic origin is to improve the functioning of the heart. Also, drugs that increase the excretion of fluid from the body can be used. Diuretics - a means of having a diuretic effect. By enhancing renal filtration, diuretics contribute to the elimination of sodium and fluid, which in turn reduces edema and shortness of breath. Aldosterone antagonists - allow you to enhance the removal of fluids from the body. Eplerenone and spironolactone are most commonly prescribed. Cardiac glycosides - most often for edema of the legs against the background of CH, digoxin is used. The drug helps to increase cardiac output while simultaneously slowing the heart rate. Beta-blockers - from this group applies carvedilol, bisoprolol. When used correctly, they can slow down the heart rate, but if severe heart failure occurs, they can lead to a blockade of impulses. ACE inhibitors - perindopril, ramipril is used to improve the condition in heart failure. Helps to reduce the load on the heart by reducing blood pressure. In severe cases, when medications are ineffective, they resort to surgical intervention in the form of a heart transplant. The best way to prevent or stop the progression of heart failure is to control the conditions that contribute to the onset of this disease. Coronary artery disease, which is also known as “atherosclerosis”. High blood pressure, that is, “hypertension”. Reducing the impact of virtually all modifiable (changeable) risk factors for coronary artery disease, including correction of cholesterol, triglycerides, and inflammatory factors, such as C-reactive protein. Reducing blood pressure to normal or almost normal levels, while it is desirable that without the need for medication. Decreased blood sugar (glucose) in people with diabetes and reversible conditions such as prediabetes and metabolic syndrome. “In recent decades, medical care for heart failure tended to focus exclusively on drug therapy, with little attention paid to lifestyle changes,” said cardiologist Ronald Scheib, MD, FACC, doctor and educator at the Pritikin Longevity Center. “Today, studies show that improving lifestyles in terms of reducing sodium intake, regular exercise and receiving psychological support can reduce the symptoms of heart failure and significantly improve the quality of life,” says Dr. Scheib. Healthy for the heart lifestyle can also reduce the likelihood of disease progression, thereby reducing the need for hospitalization. By following the recommendations on diet, exercise, and other habits given by the American Heart Association, you can alleviate the symptoms of heart failure, slow the progression of the disease, and improve your daily life. In most cases, people with mild or moderate heart failure can often lead an almost normal life. Research on heart failure and a healthy lifestyle. 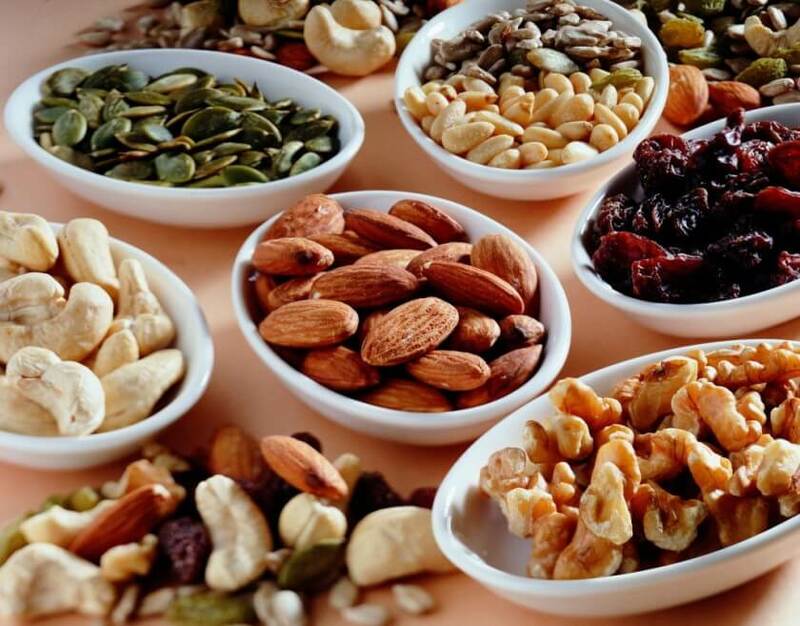 The perennial, still ongoing study involving more than 20,000 medical men has been dubbed “Physician Health Survey.”With his help, it was found that the daily consumption of several servings of fruits and vegetables, as well as a diet rich in healthy cereal components, such as oatmeal, protects the heart from the possible development of deficiency. Researchers at the 2016 Annual Cardiovascular Disease Research Sessions of 2016, reported that among the 100,000 postmenopausal women, people with the highest intake of vegetable protein had the lowest risk of developing heart failure. Excellent sources of vegetable protein are beans and other legumes. In contrast, those women who consumed the most animal protein along with meat and cheese had the highest risk of developing heart failure. Such data are good proof that taking medications is not as important as what you have to do every day and what forms the basis of lifestyle, not only in diet, but also in physical activity. Among 92 overweight and obese patients with stable heart failure, scientists found that 20 weeks of heart-healthy nutrition and aerobic exercise are enough to achieve great benefits in terms of improving overall well-being. It is important that body weight decreases on average by 10%, which corresponds to 11 kg. In addition, physical exercise intensity, measured as peak oxygen consumption (VO2), increased significantly. VO2 peak is an important indicator in predicting survival in the presence of heart failure. Stress reduction techniques such as deep breathing, yoga and meditation have been consistently documented to help people with heart failure. It turned out that this relaxation brings its results. Anxiety causes the heart to work harder and faster, so if you manage to ease the level of anxiety, it has a positive effect on the work of the heart. The researchers assessed the health of 126 men and women aged 70 years and older with congestive heart failure. The results of the analysis showed that multidisciplinary treatment, including healthy heart nutrition, significantly reduced the number of hospitalizations and improved the quality of life. The widespread practice of multidisciplinary treatment in the care of the growing number of elderly patients hospitalized with heart failure, can significantly reduce the cost of health care. At least that is what leading author Michael W. Rich, MD, and his colleagues at the Jewish Hospital at Washington University in St. Louis and from the Department of Economics, University of Washington, thinks so. The development of heart failure is mainly accompanied by the appearance of a symptom such as shortness of breath. Depending on its severity, the patient's condition may be disturbed to a greater or lesser extent. 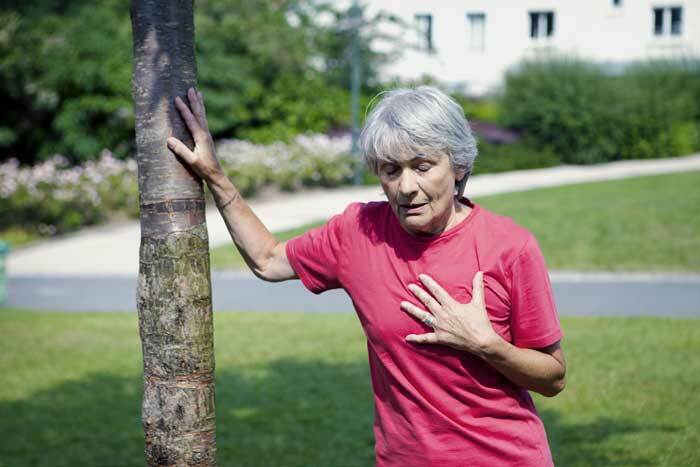 The occurrence of shortness of breath often indicates the progression of the underlying disease and the need for emergency medical treatment. In cardiology, there is such a term as heart failure. What threatens this pathology is important to know all patients with severe cardiovascular disease. The timely provision of medical care helps to alleviate the patient's condition with this pathology, and in some cases prevent a sudden cardiac arrest. Heart failure is dangerous for its complications, among which a special place is occupied by edema. They may be of different severity, and in each specific case, appropriate treatment is prescribed, without which the disease progresses very quickly and leads the person to death. Atherogenic index – what is it? What is the norm? The atherogenic coefficient (CA) is calculated using certain cholesterol fractions. Infectious pericarditis (PI) is an inflammation of the infectious origin of the serous membrane, which consists of visceral and parietal sheets and fits the heart. Leukopenia (low white blood cell count or white blood cell count) means that too few white blood cells circulate in the blood. Ascorbic acid (vitamin C) is a water-soluble vitamin that is found in many foods, but most of it in citrus fruits. Please note that the information provided on the site is for informational and educational nature and is not intended for self-diagnosis and self-treatment. The choice and prescription of drugs, methods of treatment, as well as control over their use can only be carried out by the attending physician. Be sure to consult with a specialist.